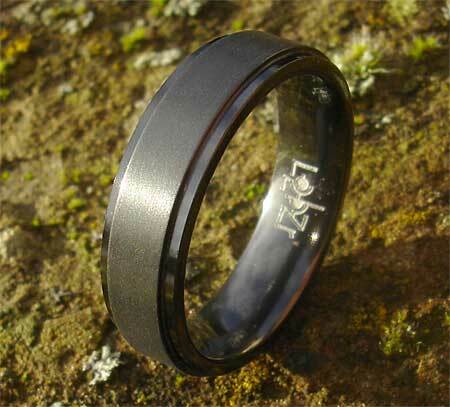 Men's Black Wedding Ring : LOVE2HAVE in the UK! Another of our men's wedding rings made from zirconium. Our zirconium rings make great wedding rings for men and one of the most advantageous reasons is that zirconium is scratch resistant. In fact, the surface is so hard that what can appear to be a scratch is the face of another object that has come into contact with the black zirconium surface. The remedy for this issue is just one of our after-sales services. 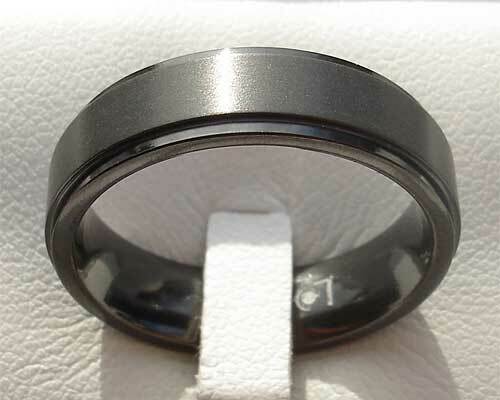 This men's wedding ring is a 7mm wide black zirconium ring with a court shaped inner and a slightly raised centre in a satin finish. It is available in 4mm, 5mm, 6mm, 7mm and 8mm widths. Please specify your choice in the comments box at check out.